Now, reaching the things you need is easier thanks to our Platinum Reacher. 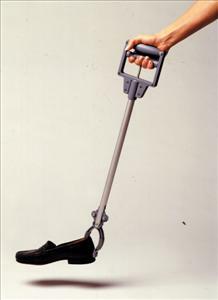 It's specially designed with a full handgrip allowing the use of all four fingers for greater grip strength. Plus, non-slip rubber tabs over composite jaws latch onto items more securely. Weighs only 14 oz. 31" Reacher.